Adelaide, Brisbane, Melbourne, Perth, and Sydney are set to experience super speeds as Telstra completes phase 2 of their 3-year transmission network upgrade. The optical transport technology boost will see the 5 capital cities supported by 8.8Tbps. On top of this, the upgraded system is scalable to more than 100Tbps in response to future network demand increases. The optical transmission network serves as the backbone of Telstra’s mobile and fixed line networks. According to the telco, the transformation will enhance capacity, improve resiliency, and provide for extensive scalability which is important in light of the ever-growing demand Telstra is witnessing on its networks. In 2016, Telstra’s network had a series of data and mobile phone outages which inconvenienced their customers in Melbourne, Sydney, and other capital cities. People were unable to make calls and the quality of calls was also affected. Following this rather unfortunate period, the telco made a commitment to enhance its network infrastructure all across Australia. As part of the contract, Erickson is not only tasked with the metro network rollout and expansion, but also the long haul and regional optical networks. The company will supply, install, as well as integrate Ciena’s converged packet-optical solutions which have the speed, resilience, and security to accommodate high traffic demands and IoT. In August, Tasmania got the first internet boost when Telstra upgraded its cables across Bass Strait giving the state an equivalent connectivity of 200,000 high definition videos. The upgrade included an improvement of the underwater cables capacity from 400Gigabits to 1Tbps. Also, the link between Hobart and Burnie in the northwest saw its transmission capacity improved by 30%. Telstra intends to boost IoT uptake through its network and this prompted the telco to turn on Cat M1. Still part of its Network of the Future transformation, Cat M1 will allow devices on the IoT network to have lengthened battery life and to support a much greater range into buildings. Telstra sees this investment as a contribution to the IoT ecosystem in Australia which will eventually support startups across a wide range of sectors among them transportation, agriculture, healthcare, and mining. 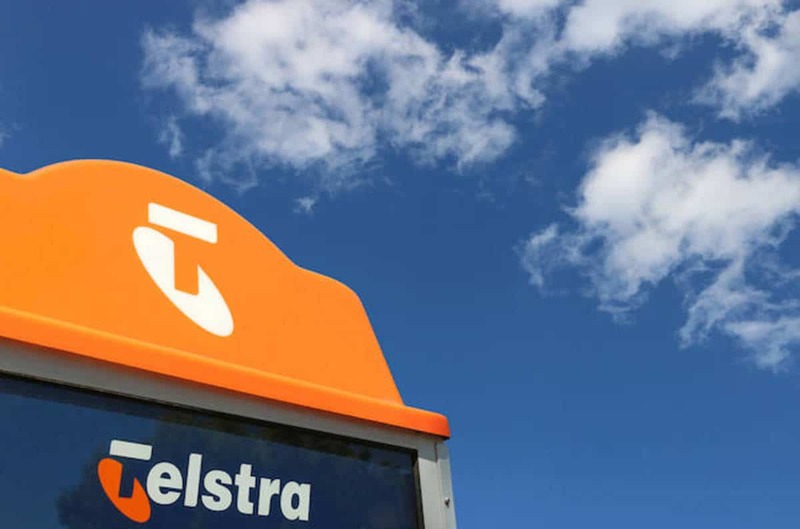 In May, Telstra announced its plans to offer network-as-a-service. This solution combines the telco’s cloud platform, its networks, Software-Defined Networking (SDN), datacentres, and network function virtualisation (NFV) capabilities into a single integrated platform. This is collectively referred to as Telstra Programmable Network (TPN). In October, TPN added virtual software-defined wide-area networking abbreviated as SD-WAN. This solution created a platform for businesses to shift their branch network straight into the cloud. This is not just a first in Australia, but the entire Asia-Pacific region. In delivering the SD-WAN solution, Telstra entered into a strategic partnership with VeloCloud. The telco projects that SDN will continue transforming global enterprise networking which will help companies to achieve more responsive and agile networks in addition to reducing costs. TPN is designed with the end user in mind. Customers will have their growing data demands met and will enjoy myriad cloud computing benefits. This will be made possible through flexible and dynamic access to high bandwidth and secure networks provided by TPN. Currently, TPN has Datacentre Interconnect, Marketplace for installing virtual network functions, and Exchange to facilitate connections to Telstra and partner networks. According to Telstra, the boom in smart devices, cloud computing, and video streaming will cause traffic on their network to grow by more than 500% in the next 5 years. It’s this forecast that prompted the telco to invest in the $3 billion Network of the Future program to build and expand its infrastructure. This commitment paints a bright future for Australia as it gears up to the 5G rollout.